The boho style is all about the relaxed and flowing look, while the biker is all about strength, roughness and edge. 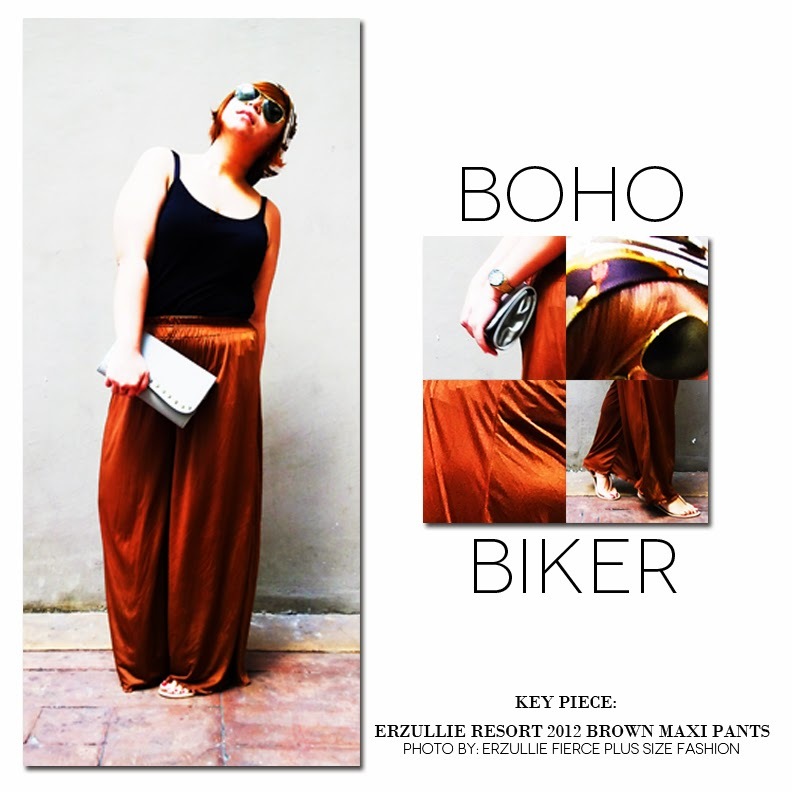 Seems like two opposite sides of the coin but with the style wit of Erzulliesta Monica, the “boho biker” look is born! Combining her Erzullie brown maxi pants with a black spaghetti strap top, strap sandals, opaque shades with gold rims, scarf accent for the hair and a basic clutch, this Erzulliesta created a soft yet statement making outfit. The trick is to get the basics of each style genre and combine them together in a pleasing and balance manner. So, how about you, Erzulliesta? If you can combine two style genres and mix it into one --- what would it be? Have fun trying it out! Last January 8, 2014, Erzullie designer and Co-owner, Berna Cuevas, announced that her inspiration for Erzullie’s Holiday 2014 collection is --- Pepe Smith. Although probably the most unlikely icon to take inspiration from, we can definitely assure your ladies that it’s going to be a “rocking” new thing for you. Here’s to a whole new aspect of fierceness!